My books, First Words andHoly Emotions are now available in Kenyan bookshops and stores. 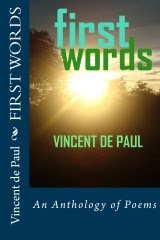 Purchase First Words and Holy Emotions at Ereto Bookshop and Supermarket and Patmat Book Shops in Nakuru. Elove Poetry's Holy Innocence available at Ereto & Patmat Bookshops Get yourself a copy today. All Available at Ereto & Patmat Bookshops, Nakuru.